1.1 Under the name of E-AHPBA, EUROPEAN-AFRICAN HEPATO-PANCREATICO-BILIARY ASSOCIATION (hereinafter abbreviated as E-AHPBA) a nonprofit association is established in accordance with article 60 et seq. of the Swiss Civil Code. 1.2 The seat of the E-AHPBA is in Switzerland. The Council determines the town and the address where the E-AHPBA has its registered office. 2.1 The purpose of the E-AHPBA is to address the increasing incidence in humans of disorders of the liver, pancreas and the biliary tree by creating a multidisciplinary forum for persons and entities from Europe, the Middle East and Africa who share this common goal. to encourage as a regional association the interchange of activities and combined membership with the IHPBA organisation. 3.1 All persons and entities who identify themselves with the purpose and the objectives of the E-AHPBA may apply for membership. 3.2 The E-AHPBA shall be free to decide about the admission of new members. 3.3 The Internal Rules determine the applicable criteria for membership, define the membership categories as well as the rights and the duties of the members and the procedures for loss of membership. 5.1 The General Assembly is the supreme authority of the E-AHPBA and shall meet biennially in ordinary session during the E-AHPBA Congress. Extraordinary sessions of the General Assembly shall be held whenever it is convened by the Council or at the request of one fifth at least of its members. 5.2 The formal invitations to attend the ordinary General Assembly shall be mailed together with the agenda at least thirty days before the date fixed for the session. However, the approximate dates of the Congress shall be notified six months in advance. The invitations to the extraordinary sessions of the General Assembly shall be mailed together with the agenda at least twenty days before the date fixed for the session and no other advance notice is required. 5.3 The ordinary General Assembly shall hear the report of the President and approve the accounts for the preceding financial period. It shall elect the President and the Officers of the Council. Furthermore, it shall decide on the membership fees and on all items appearing on the agenda. 5.4 All members of the E-AHPBA are entitled to request the Secretary in writing at least two months in advance to include specific items in the agenda. 5.5 The debates in the General Assembly shall be validly held irrespective of the number of members present. Each member has one vote. Decisions and elections shall be made by a simple majority of the members present. When amendments to these Articles of association or the dissolution of the E-AHPBA are under consideration, decisions shall be made by the majority of two thirds of the mem­bers present. 6.1 The Council is the executive board of the E-AHPBA and shall be composed of at least three members, a President, a Treasurer and a Secretary. The President and the Officers shall be elected by the General Assembly. The Council constitutes itself, distributing the charges and arranging the duties among its members and determines the signatories and the rules of signature. 6.2 The Chairmen of the permanent Committees shall be ex-officio members of the Council. The number of Members-at-large of the Council should not exceed eight. 6.3 The members of the Council are elected to serve from one ordinary General Assembly to the next. They may be reelected twice. However, the offices of the President, of the President-Elect as well as of the Past-President can only be held for one term. 6.4 Should an elected officer be impeded to carry on with his duties, the Council may designate a substitute officer who is entitled to present his candidacy at the next General Assembly. 6.5 The Council conducts the affairs of the E-AHPBA and decides on all matters not expressly assigned to the General Assembly. 6.6 The Council shall meet whenever it is convened by the President or at the request of two of its members. It shall validly meet if more than half of its members are present and shall make its decisions by a simple majority of its members present; if the votes are equal, the President has the deciding vote. All members of the Council agreeing, deliberations may be held and decisions validly taken by way of telephone-or video-conference or by resolution by circular. 6.7 The Secretary shall draw up minutes of the meetings of the Council and shall sign them jointly with the President. 7.1 The General Assembly as well as the Council may establish permanent as well as ad hoc Committees. Each Committee shall be chaired by a member of the Council. 7.2 The Internal Rules define the organisation of the Committees. 8.1 The members of the E-AHPBA are encouraged to form national or regional Chapters for coordinating the activities of the E-AHPBA in their area. 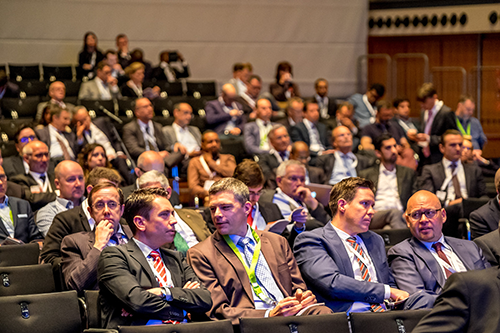 8.2 Chapters composed of at least ten E-AHPBA members shall nominate a Delegate who will be invited to attend, at the expense of the Chapter, the meetings of the Council with advisory vote. 9.1 The Council shall establish the Internal Rules supplementing the present Articles of Association. The Internal Rules become effective with their adoption by the Council and their notification to the members of the E-AHPBA. They will be submitted to the next General Assembly for approval. 10.1 HPB is the official Journal of the E-AHPBA and the main mean of communication between the E-AHPBA and its members. Subscription to HPB is included in the membership fee. 10.2 All communications in writing between the E-AHPBA and its members as well as among the members of the Council, the Committees and the Chapters are equally valid if notified or exchanged on paper or electronically. 11.1 The E-AHPBA shall raise its funds through membership fees, through the organisation of the E-AHPBA Congress and through other scientific or educational events and publications. It may also receive sponsorships, donations and be appointed as heir or legatee. 11.2 Membership fees are payable yearly in advance. 11.3 The members of the E-AHPBA shall be exonerated from personal liability in respect of the financial commitments of the E-AHPBA which shall be guaranteed solely by the assets of the E-AHPBA. 11.4 The business year of the E-AHPBA corresponds to the calendar year with the exception of the first business year which begins the day of the constitution and ends on December 31st of the subsequent year. The accounting books shall be closed annually and be submitted to the Council for preliminary approval. The Council may want to submit the accounts for external audit. 11.5 The financial period for which consolidated accounts have to be presented for definite approval to the ordinary General Assembly starts on January 1st preceding the last ordinary General Assembly and ends on December 31st preceding the approving ordinary General Assembly. 11.6 The ordinary General Assembly may decide to have the consolidated accounts submitted to an external audit. 12.1 A decision to dissolve the E-AHPBA shall be taken by an extraordinary General Assembly specially convened for the purpose and by the majority of two thirds of the members there present. 12.2 In any case of dissolution of the E-AHPBA, all its remaining assets shall be transferred to an organisation aspiring to the same or to a similar purpose. A devolution of assets to the members of the E-AHPBA is excluded. Given at Zurich on the 27th day of September of 2010 and modified at the first Extraordinary General Assembly of December 1st, 2010, held in Zurich. 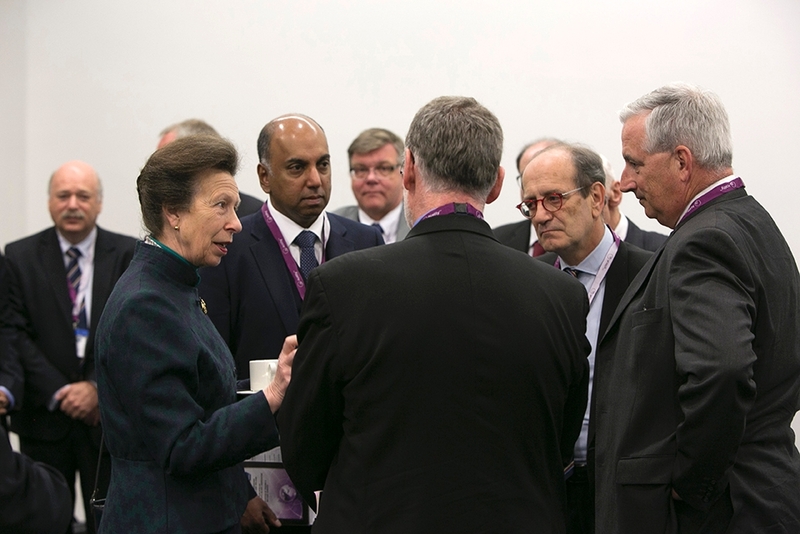 HRH Princess Anne visits the E-AHPBA Congress 2015.